Gash bacon strips in half. Blanket cookie sheet with foil. 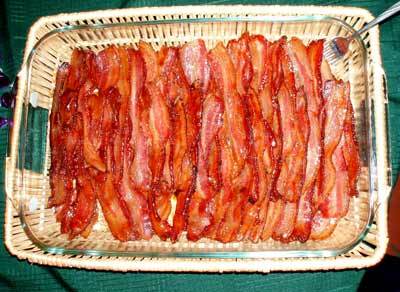 Spreading bacon on foil and covert with brown sugar. Bake at 350 on the part of 20 minutes. Drain on towel.